The linguistics of sign language are somewhat complicated, especially for people who are used to using a spoken language. If you use sign language from birth, then the chances are that the linguistics of sign language will not seem too confusing. 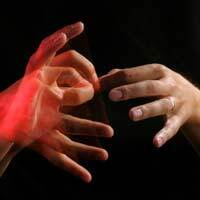 However, if you are learning sign language as a second or third language, then the linguistics of sign language will be extremely complicated and completely alien to anything you already know. The syntax of a language is one component of linguistics. It basically refers to the way sentences are structured. In English and most other European languages, sentences are structured in a way which an object does something to a subject. The order of these words – the subject, object and verb – may change from language to language but the basic idea stays the same. This means that for anyone who speaks one of these languages and wants to learn another, they can grasp the idea that one word in each sentence represents each of the three main components of a sentence. But in sign language, the syntax is not this straightforward. Of course, for people who ‘speak’ sign language as a first language, it is this simple because that is the syntax they know. But for native speakers of a European language, the syntax of it will be one of the hardest things to get their head around. Likewise, the grammar of sign language is also completely different to most Western spoken languages. Although grammar varies from language to language, as with syntax, the basic principles remain the same in one family of languages. For Romance languages, it is clear that there is a pattern in the way the verbs are conjugated. But in sign language, this is not the case and verbs, nouns, adjectives and all word groups are used in a different way. The grammar and structure of sign language also helps to convey emotion, because in signed languages there is no way that the speaker can use their voice to do this. Therefore, the linguistics of sign language are very useful in making sure people’s meanings are understood, and that their words are taken in the spirit intended. Some people get around the tricky linguistics of sign language by using a simple sign based way of communicating – without learning the grammar and syntax which are specific to sign language. This means that they learn all of the symbols which are associated with words but then sign the symbols in the same order as their native language. Although not ideal, as it does not convey emotion for one thing, most sign language ‘speakers’ will understand the basic meaning you are trying to convey. But if you are serious about learning sign language then you must learn the linguistics of sign language. This will take time and effort but at the end of the day, you will be able to communicate more fully in sign language and be able to understand people who speak it well.